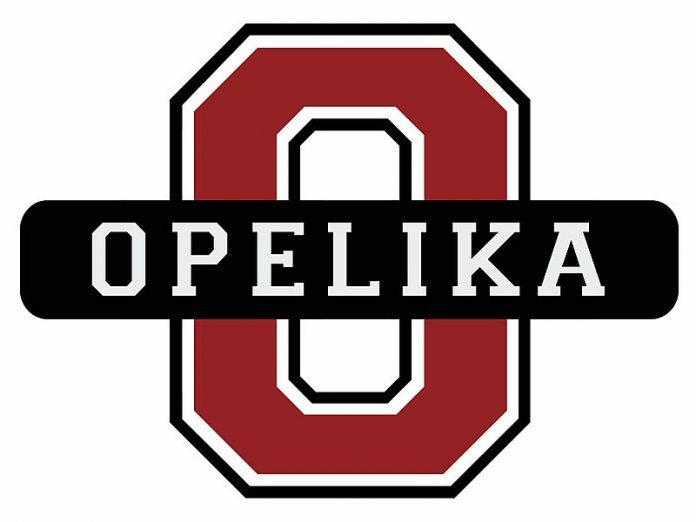 Opelika High School’s 2018 football season ended Friday night with a 24-19 loss to Saraland in the quarterfinal round of the 6A playoffs. The Bulldogs (7-5) and Spartans (12-1) swapped field goals in the first quarter. Opelika kicker Marshall Meyers nailed a 20-yard field goal with 5:33 left in the first quarter to give the Bulldogs a 3-0 lead. Saraland answered with a 25-yard field goal fewer than four minutes later. Neither team could manage any consistency on offense. Senior Bulldog quarterback Cade Blackmon threw a 28-yard TD pass to Omar Holloway with 5:39 left in the half to regain the lead. Baker Rowton added the PAT to make the score 10-3. Spartan running back Rashawn McAlpine tied the game with a rushing touchdown with only 33 seconds left in the half. Opelika’s defense continued to play hard in the second half, forcing a safety after playing three minutes of the third quarter to recapture the lead, 12-10. Neither team scored any offensive points in the third quarter. Saraland took the lead with 10 minutes left in the game after a rushing touchdown. Brantan Barnett caught a 75-yard TD pass from Blackmon less than two minutes later. Rowton added PAT to extend the Bulldog lead to 19-16. Saraland scored the game-winning score on an 11-yard run by Karie White with 5:34 left in the fourth quarter. Following a successful two-point conversion, the Spartans led 24-19. 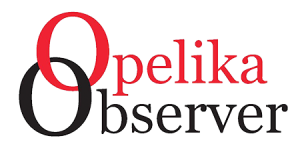 Opelika was one of eight class 6A football teams playing last Friday night. This senior class left an indelible mark on the Opelika football program: a combined 29-11 record, broke the school record with three region titles, three playoff appearances, two trips to the state quarterfinals and a trip to the Super 7 in 2016. The seniors also played for three different head coaches. The Opelika girls basketball team defeated Columbus High school 66-43 last week. The Lady Bulldogs are 6-1 on the young season. I do not have scoring leaders as Coach Devin Booth is taking a “team” approach this season. The veteran coach decided not to talk about individual scoring but playing well as a team following her squad’s victory. Opelika played Smiths Station Tuesday night at the Sports Arena. The results were not available at press time. Both varsity teams travel to Carver High school in Montgomery Nov. 30, with first tip for junior varsity set for 4:30 p.m., varsity girls at 6 p.m., varsity boys at 7:30 p.m. The Bulldogs travel to Central of Phenix City Dec. 4, Prattville Dec. 6 and Smiths Station Dec. 11. Opelika’s next home game will be Dec. 12 v. Carver. The 2018 AHSAA Super 7 Football Championship is a week closer after last Friday night. The 7A Championship game Dec. 5 will feature Central of Phenix City v. Thompson. The Red Devils and Warriors rallied in the fourth quarter to win their semifinal game. Thompson defeated Hoover 31-28 while the Red Devils slipped by R.E. Lee 34-27. Class 1A-6A semifinal playoff games will be held Friday, with the winners advancing to the Super 7 Dec. 6 and 7. Fans interested in tickets should go online super7al.com The website provides information for fans and teams attending. The cities of Opelika and Auburn partnered 15 years ago to form the “A-O Sports Council,” with the intention of forming a team with Tuscaloosa. The ultimate goal was to bring the Super 7 to Jordan-Hare Stadium and Bryant-Denny Stadium. This will be the fifth time the championship games will be played at Jordan-Hare Stadium. The two cities split the economic impact. Seven teams stay at hotels in Opelika while seven teams stay in Auburn hotels. The teams eat pre-game meals, including breakfast at local restaurants. The attendance ranges from 55,000 to 65,000 during three days. Fans can listen to all seven championship games on iHeart Radio. The 3A and 4A games will air at 11 a.m. on WTLM 1520 AM. The 1A and 2A games will air on WZMG 9120 AM and 5A-6A-7A airing on WKKR 97.7 Kicker FM. Central will play Thompson Dec.5 at 7 p.m. I will have 1A-6A Pairings in next week’s column. D. Mark Mitchell is sports director for iHeart Media, Alabama Dixie Boys State Director and vice president of the A-O Sports Council.